For this week’s “Things That Bring Back Memories” post, I am going to pick something in the topic of “Movies” and go with Jack Frost. This was a movie from 1998, but seems to be a bit older to me, not sure why. It had a great story that went with it and was perfect for family movie night. All of us are familiar with Michael Keaton, and I think that he did a great job in this movie. So, did you ever see this movie when you were younger? or have you seen it on TV or the internet later in life? Let me know what you thought of it, and if you have any memories of it in your life! 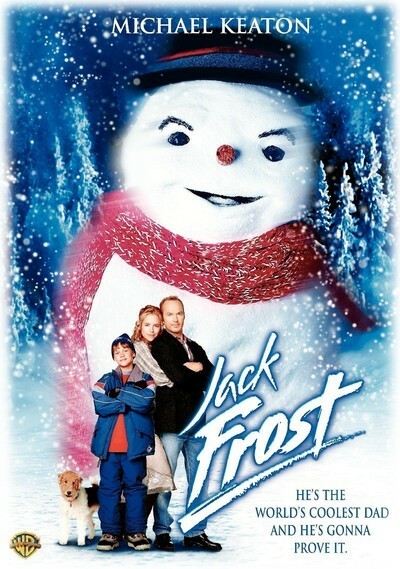 Jack Frost is a 1998 American Christmas fantasy comedy drama film, starring Michael Keaton and Kelly Preston. Keaton stars as the title character, a man who dies in a car accident and comes back to life as a snowman. Three of Frank Zappa’s four children, Dweezil Zappa, Ahmet Zappa, and Moon Unit Zappa, appear in the film. The costume for Jack Frost’s snowman form was created by Jim Henson’s Creature Shop. Jack Frost is the lead singer in a rock band simply titled “The Jack Frost Band”, based in the fictional town of Medford, Colorado, USA, who make their living performing blues covers and an assortment of their own songs in the hope of signing a record deal. He then returns to his 11-year-old son Charlie, who has just returned from an epic snowball fight against local bully Rory Buck. Jack and Charlie spend some quality time by building a snowman in their front yard. Afterward, Jack tucks Charlie into bed and gives him his best harmonica, which Jack got the day Charlie was born. He then jokes with Charlie, telling him that it’s magical, and he’ll be able to hear the harmonica wherever he is. Jack promises his wife Gabby that he will attend his son’s hockey game. However, he misses the hockey game in favor of recording the ironically-named “Don’t Lose Your Faith”. To make up for it, Jack then promises to take his family on a Christmas trip to the mountains, but is called in on a gig that could either make or break his career. On his way to the gig, Jack realizes his mistake and borrows his best friend (and the band’s keyboardist) Mac MacArthur’s car to go home and spend the holidays with his family. Unfortunately, a bad storm begins to block Jack’s view. Due to a faulty windshield wiper on Mac’s car, Jack is unable to navigate through the storm, and as a result, he crashes his car, and is killed instantly (off-screen). One year later, Charlie, depressed over his father’s death, withdraws from all contact with his friends. One night, Charlie makes another snowman that bears as much of a resemblance to Jack as he can remember of him and plays Jack’s harmonica just before going to sleep. The harmonica turns out to be magical after all as it resurrects Jack, and his spirit awakens in the snowman. Thrilled to be alive again, Jack attempts to greet Charlie, but ends up terrifying him with his uncanny appearance. Jack walks into the night and contemplates his fate. The next morning, Charlie discovers Jack in his yard and attempts to run away from him. When Charlie winds up in the snowball battlefield, Jack pelts Rory Buck and the other children with snowballs and manages to grab Charlie. Jack escapes with Charlie on a sled whilst Rory and the enraged children pursue them. After losing Rory and the pursuers, Charlie realizes that the snowman is his father after Jack calls him ‘Charlie boy’ which is what his father used to call him and embraces him. Jack reconnects with Charlie and teaches him the values that he never got to teach him when he was alive. After giving him some hockey lessons, Jack convinces Charlie to rejoin the hockey team instead of continuing to grieve over his death. Charlie goes on to become the best player on the team. In the meantime, Mac continues to be a friend of the family becoming a father figure of sorts to Charlie per Gabby’s suggestion. 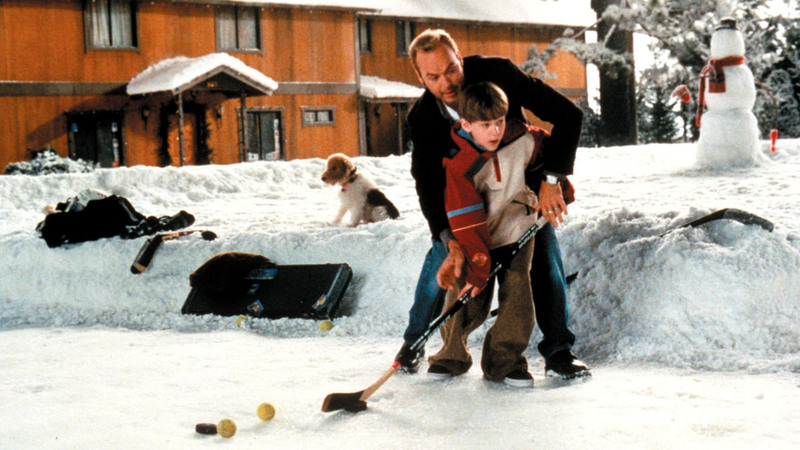 As winter approaches its end, Jack begins melting and struggles to get to Charlie’s hockey game. Afterwards, Charlie decides to take Jack to the mountains where it is colder. Charlie attempts to convince his mother to take Jack there, but has a difficult time doing so. Charlie then comes across Rory Buck who also insults the snowman by asking which is more stupid. After Jack speaks in front of Rory by correcting his last sentence, Rory sympathizes with Charlie not having a father. Rory then helps him sneak Jack onto a truck en route to the mountains. Upon reaching the mountains, Jack and Charlie arrive at the isolated cabin that the family was going to stay at a year earlier before Jack’s death. Jack calls Gabby, nonchalantly asking her to come to the cabin to pick up Charlie; Gabby is shocked, but recognizes Jack’s voice and obliges. Jack tells a disheartened Charlie that he has to leave. When his wife arrives, the snowman shell dissipates, revealing Jack as he appeared in life, but in an ethereal form. After telling Charlie that even though Jack will be in the after world, he will be with him wherever he is and wherever he goes and after saying farewell, Jack returns to the afterlife. In the closing moments of the film, Charlie plays hockey with his group of friends – which now includes Rory. The final street scene shows that all the front lawns have snowmen on them. Michael Keaton (Jack Frost) was born September 5, 1951), known professionally as Michael Keaton, is an American actor, producer, and director. He first rose to fame for his roles on the CBS sitcoms All’s Fair and The Mary Tyler Moore Hour and his comedic film roles in Night Shift (1982), Mr. Mom (1983), Johnny Dangerously (1984), and Beetlejuice (1988). He earned further acclaim for his dramatic portrayal of the title character in Tim Burton’s Batman (1989) and Batman Returns (1992). Since then, he has appeared in a variety of films ranging from dramas and romantic comedies to thriller and action films, such as Clean and Sober (1988), The Dream Team (1989), Pacific Heights (1990), Much Ado About Nothing (1993), My Life (1993), The Paper (1994), Multiplicity (1996), Jackie Brown (1997), Herbie: Fully Loaded (2005), The Other Guys (2010), Robocop (2014), Need for Speed (2014), Spotlight (2015), The Founder (2016), and Spider-Man: Homecoming (2017), and has also provided voices for characters in animated films such as Cars (2006), Toy Story 3 (2010), and Minions (2015). Keaton’s lead performance in Birdman or (The Unexpected Virtue of Ignorance) (2014) earned him a Golden Globe Award for Best Actor in a Musical or Comedy, the Critics’ Choice Award for Best Actor and Best Actor in a Comedy, and nominations for the Screen Actors Guild Award, British Academy Film Award, and Academy Award for Best Actor. He previously received a Golden Globe Award nomination for his performance in Live from Baghdad (2002) and a Screen Actors Guild Award nomination for The Company (2007). Keaton was awarded a Career Achievement Award from the Hollywood Film Festival. On January 18, 2016, he was named Officer of Order of Arts and Letters in France. He is also a visiting scholar at Carnegie Mellon University. Kelly Preston (Gabby Frost) was born October 13, 1962 in Honolulu, Hawaii, and is an American actress and former model. Kelly Kamalelehua Smith (the middle name “Kamalelehua” means ‘garden of lehuas’ in Hawaiian – a lehua being a well-known Hawaiian flower). Her mother Linda, was an administrator of a mental health center and her father, who worked for an agricultural firm, drowned when Preston was only three years old. Her mother married Peter Palzis, a personnel director, who subsequently adopted her; she used his name when she first began her acting career until 1984. She has a younger half-brother, Chris Palzis. As a child, she spent time living in Iraq and also in Australia, where she attended Pembroke School in Adelaide, and on to Punahou School and studied drama and theater at the University of Southern California. Kelly has appeared in more than sixty television and film productions, most notably including Mischief, Twins and Jerry Maguire. She is married to John Travolta, with whom she collaborated on the science fiction film Battlefield Earth. She also starred in the films The Cat in the Hat, Old Dogs, and Broken Bridges. Jack Frost – Did You Know? George Clooney was originally attached to the project, but when he left to do Batman & Robin (1997), ex-Batman Michael Keaton was cast into the lead role. This caused trouble for Jim Henson’s Creature Shop. They’d designed the snowman animatronic for Clooney’s facial features and acting style. 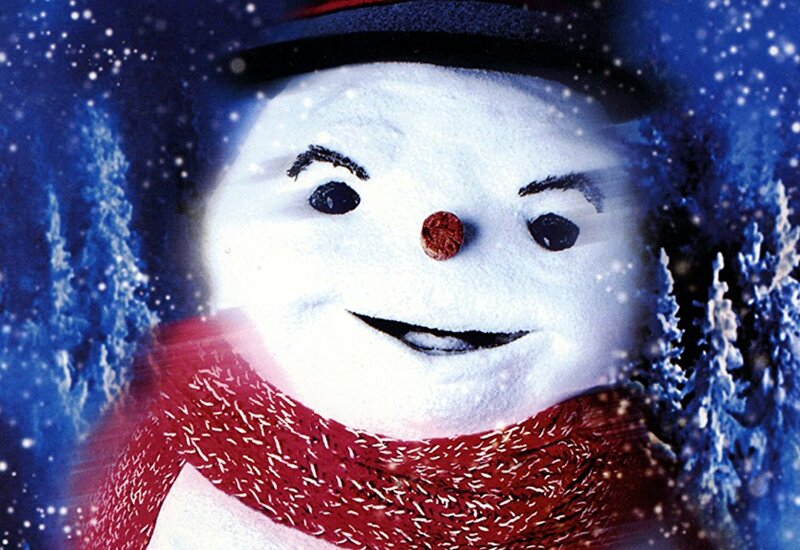 Was released one year after the identically titled Jack Frost (1997), a horror film featuring a mutant killer snowman. In Charlie’s bedroom, next to his bed, is a bust. It has the body of Superman breaking out of chains, but the head of Batman. 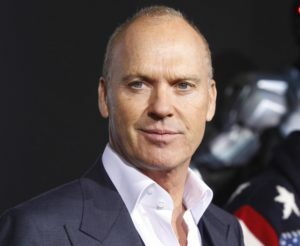 Michael Keaton is well known for his portrayal of Batman in 1989 and 1992. Michael Keaton and Eli Marienthal, who plays a friend of Keaton’s son Charlie, have both portrayed Batman and Robin. Keaton in Batman (1989) and Batman Returns (1992) and Marienthal in Batman: Mystery of the Batwoman (2003). No, I didn’t and I’m sad it looks like it was very good. I usually watched all Christmas Movies until HG’s came along. lol Frosty the Snowman cartoon was one of my very favorites! Maybe I can catch a rerun or old DVD of this. Yes, I remember Jack Frost! But not the movie you mentioned. I always loved that story! Which one did you remember, Michele?